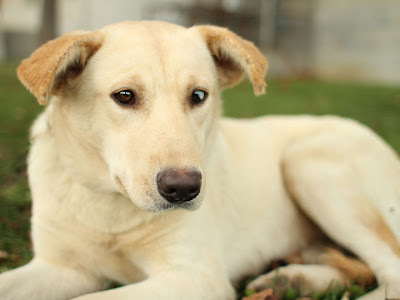 At first I kept thinking Blondie, a Lab mix from Anishnabe, had a bad case of cross-eyes and then realized that half her left eye is blue. 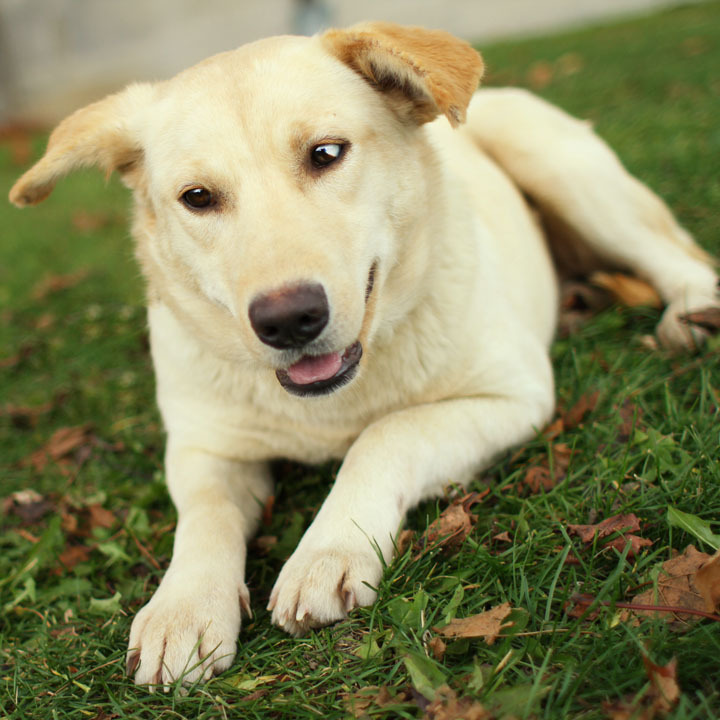 Blondie is typical of so many street dogs who you'd think would have to be tough and mean to survive but instead turn out to be lovely, friendly animals who would do anything to please. 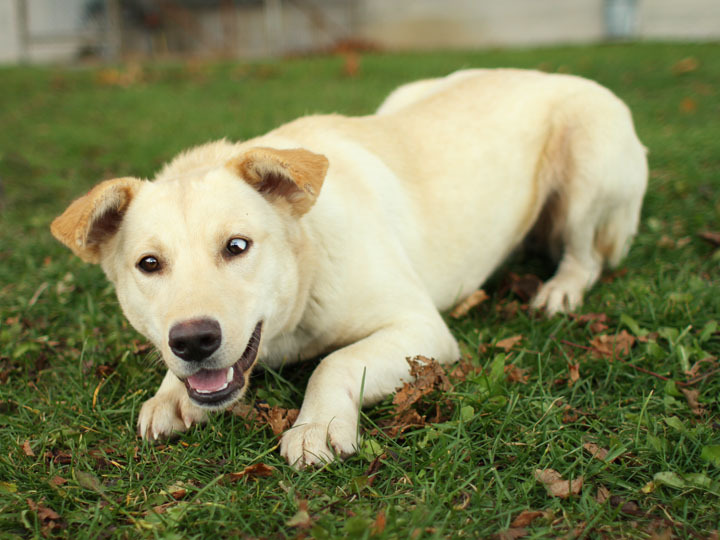 For adoption information on this dog and other dogs (and cats and other animals), please visit Toronto Animal Services. Eyes just like the unnamed husky pup with stick from July. By the way have you heard anything about him. Adorable. How old is she? rika, young but not sure exact age. I'm guessing around 1. TAS will know better.